restore the arch of your foot. 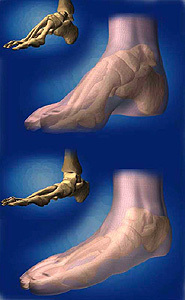 Restoration of proper function for prolonged, pain-free foot health that benefits the entire body is our goal for you. The first goal of proper foot management is to understand what is going wrong. When the problem is identified, biomechanical correction of foot function becomes profoundly clear. The high repetitive forces that converge on the weight-bearing foot require a highly efficient mechanical means of control. 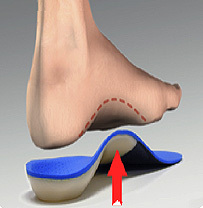 Custom made orthotics may be the difference between long-term success and failure in the management of your pain.